ELZABURU, Intellectual Property: How will Brexit affect the rights of EUTM holders? How will Brexit affect the rights of EUTM holders? 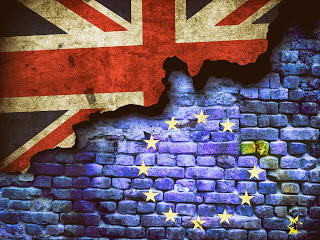 The practical implications of Brexit as far as the rights of EU trademark holders are concerned will likely only be felt around 3 years following the United Kingdom’s formal notice of withdrawal from the EU; they nevertheless compel EU trademark holders to take certain measures to ensure that the changes that will follow in the wake of Brexit do not adversely affect the protection of their trademarks. It will likely be at least 3 years before the UK actually breaks off from the EU, based on the various phases established for a Member State’s departure. Indeed, having made the decision to leave the EU, the UK -under Art. 50 of the Treaty on EuropeanUnion- has just formally notified the European Council of its withdrawal. It now has a period of two years in which to conduct the negotiations that will enable it to establish the new legislative framework, which will be voted on by the Member States and also, apparently, by the British Parliament. The new situation will therefore depend on the outcome of the negotiations between the UK and the EU and on the mechanisms that are ultimately put in place. For now, therefore, the familiar landscape of trademarks in the EU remains unchanged: there are still national trademarks, international registrations under the Madrid System, of which the UK is a member, and European Union trademarks covering the 28 EU Member States, including the UK. The UK Intellectual Property Office has announced that it intends to maintain ties with the EU, and so it will likely establish a process whereby EU trademarks are converted into UK national trademarks, or the rights conferred by EU trademarks are automatically recognised. The EU trademark’s filing date will likely be retained as the priority date, as in the case of the conversion of EU trademarks into national registrations provided for in Art. 112 EUTMR where, following refusal of an application to register an EU trademark due to opposition based on one or several national trademarks, the applicant decides to apply for protection of the trademark in the countries in which no obstacles have been encountered. This conversion is carried out by paying a conversion fee, equivalent to an application fee, and by submitting the application to the local examination system as if it were a new national trademark, except for the fact that it retains the filing and priority date of the EU trademark. If the conversion were requested for an EU trademark registration and not a mere application, the national trademark could be granted without further ado. It all depends on the terms of the negotiations and domestic policy decisions adopted by the UK. For the time being, EU trademarks are still fully effective in the UK, and only once the estimated 3-year period has elapsed will companies have to decide whether their interest in the British market is strong enough to warrant filing a new UK trademark application, extending an international registration to the UK or requesting the conversion of their EU trademark registration into a UK national trademark registration. Nevertheless, we can, at this stage, anticipate cases in which companies will have to take measures to avoid losing their trademark rights, both in the UK and on a European level, as a result of Brexit. For instance, EU trademarks that were granted over 5 years ago and have only recently been converted into UK national trademarks could be vulnerable to revocation actions for non-use in the UK if they have not been used in that territory. It cannot be ruled out, however, that the 5-year grace period will start to run as of the date on which the conversion was requested or granted. Similarly, once the UK no longer forms part of the EU, the holders of EU trademarks granted over 5 years ago and only used in the UK could find that their trademark rights have no effect when it comes to filing opposition against a new EU trademark application, since they will be unable to validly demonstrate use of their trademark in the EU. They may even lose those rights if they are targeted by a revocation action for non-use before the EUIPO. Consequently, businesses must now start to reassess their trademark protection strategy in light of the country in which they are putting their trademarks to genuine use. Furthermore, in order to be in a position to block the registration of EU trademarks, UK companies will have to register their marks as EU trademarks, or do so in an EU Member State, since their national registrations will not be able to serve as a basis for opposition against an EU trademark application. EU companies that are not from the UK will have to weigh up how important the UK market is for them. In the event that those companies had a particular interest in that market, they should move to register any EU trademarks that they hold as national trademarks in the UK before the effect of Brexit on the existing EU trademarks is clarified in order to avoid the possible, albeit rather unlikely, loss of rights. Also, all companies should now keep their UK registrations in force, even if their seniority has been claimed in an EU registration of the same mark, since it is uncertain whether it will be possible to recover the validity of those rights –once they have been abandoned on a national level- after the UK has left the EU. It will also be necessary for any new agreements signed in relation to EU trademarks to include clauses expressly providing that the agreements shall continue to apply in the territories that formed part of the EU in the event that they subsequently ceased to be members, and clauses stipulating that not only do those agreements apply in the territory of the EU on the date of signature of the agreement but also in future EU Member States. These are just some of the thoughts that we can offer now, following activation of the mechanism provided for in Art. 50 TEU. There is still a long way to go before the applicable legislation, the terms of the agreements reached in respect of trademarks and the measures that companies will have to take in order to secure the best protection for their rights in the UK come to light. very useful blog , really worth to read, i got to know a lot of knowledege about japan trademark, you have shred amazing industrial designes.thanks for sharing.